I am having a feeling of deja vu, so apologies if you have been with my blog from the start and are hearing about my Christmas things for the second time. But that’s not going to stop me from sharing my nativity scene with you today – it’s another part of my collection that is guaranteed to make me laugh every year, as I release the players from their 11 month bubble wrap storage. I can’t remember where I got this set, but these guys have been part of my family for many years now. They are so clumsily painted and bizarrely formed that I can only hope that I bought them from a charity shop. 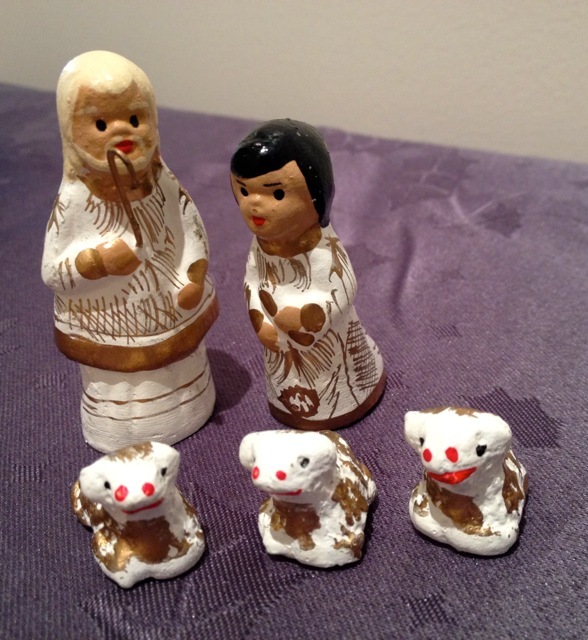 Whatevs, they fit my purchase requirements: a non-traditional nativity scene. 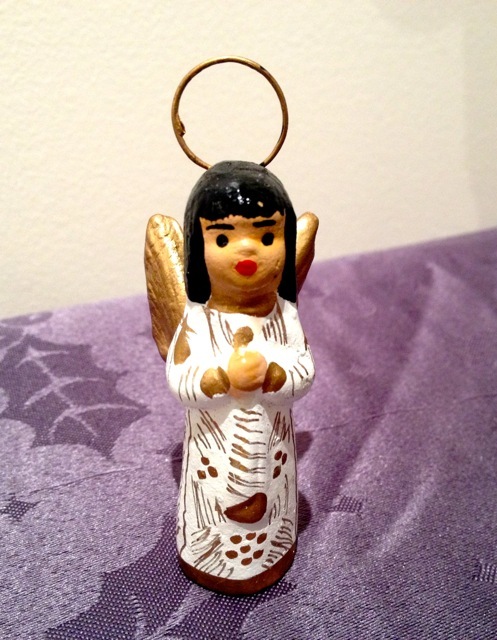 The gender of most of the gang is ambiguous, baby Jesus appears to be wearing lipstick, and I just don’t know about that shifty looking angel. 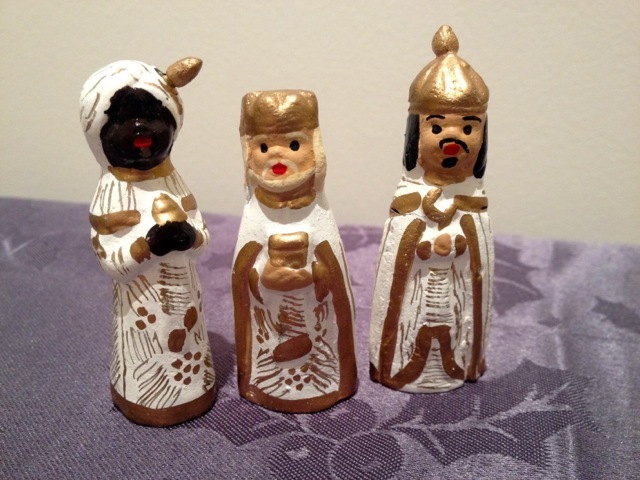 The sheep look like clowns, there are two cows (not pictured, because they pretty much look like larger versions of the sheep + horns) and one of the politically incorrect wise men lost his head in a tragic accident last year (he made a run for it and fell off the display table). But my Dad fixed him right up with super glue and he’s back in action for the 2013 season. Look at that fine detail – there’s even a tear! 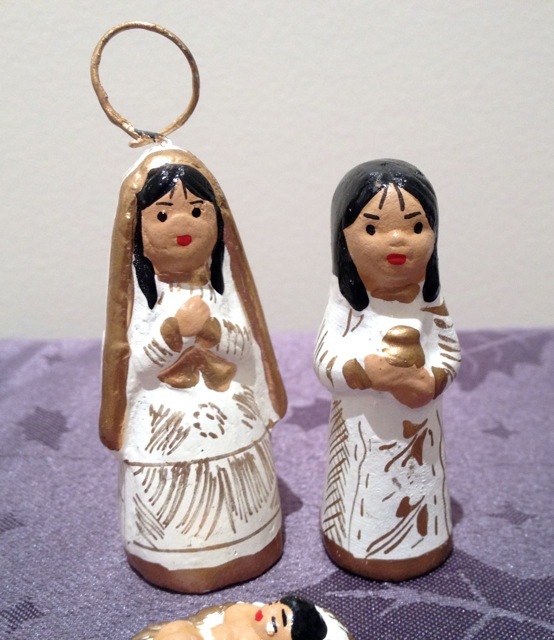 Well………these little beauties from Bethlehem will undoubtedly bring a smile and good cheer. 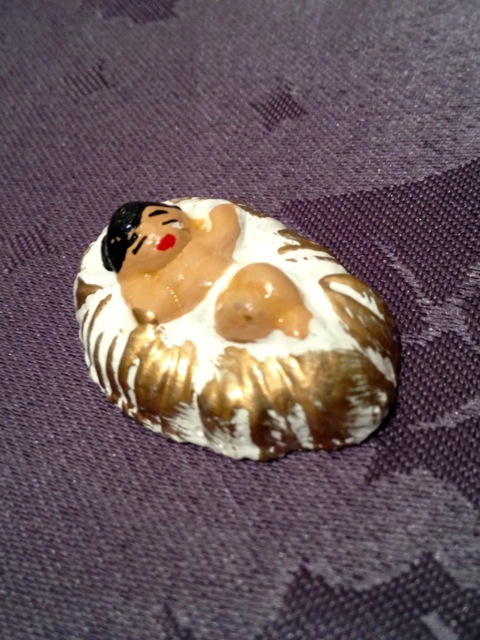 True there is much that’s uncertain….Baby Jesus i? ‘p’raps a marshmallow bick or baby sumo in a snow bath dip !! Leaving just the royalty winded and bemused..
And dear Mary and Joseph looking seriously but sincerely towards issues of modern climes!!! However, pride of place they should all be yet again this Christmas time!! !